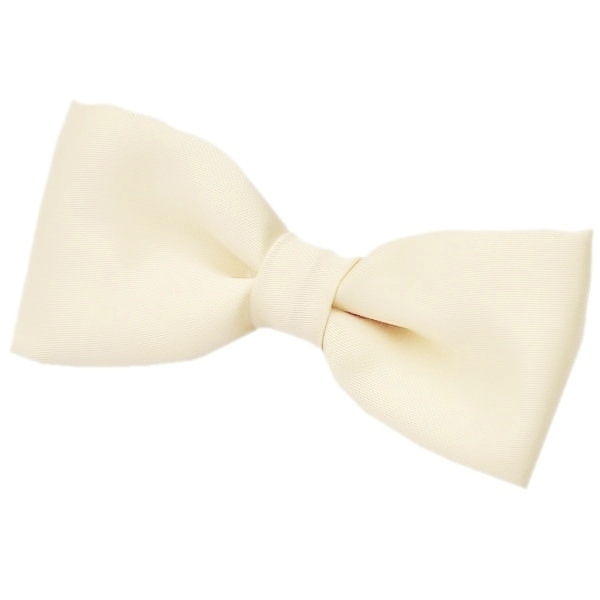 Add a dash of style and colour to your little boy's formal outfit with this creamy ivory satin dickie bow tie. Featuring a luxurious shine and is pre-tied to guarantee a perfect knot everytime. These dickie bow ties have an elasticated neckband simply for ease and safety. Completely brand new, perfect for all formal occasions including a christening, pageboy, wedding or simply any special occasion.